With summer just around the corner, it’s getting to be the perfect weather to enjoy some delish fruits of the melon variety. 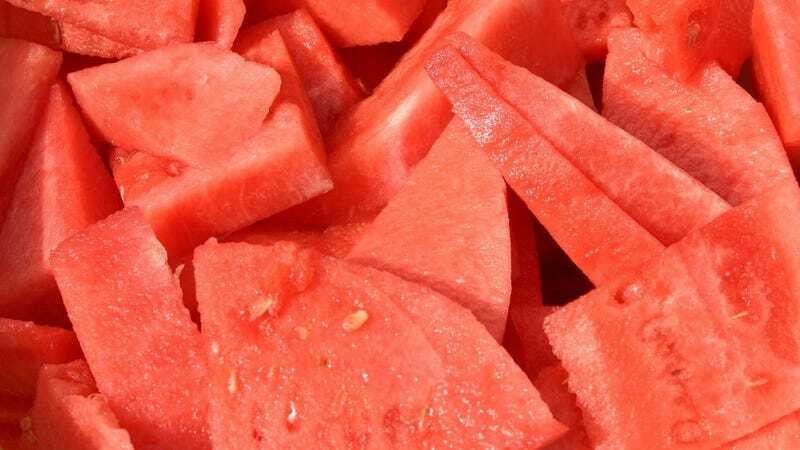 Unfortunately, there’s a nasty outbreak of Salmonella that’s contaminated certain brands of pre-cut melons, according to the Centers for Disease Control and Prevention. On Friday, the CDC reported that at least 60 people have gotten sick from the same strain of Salmonella Adelaide since April 30 across five states: Illinois, Indiana, Michigan, Missouri, and Ohio. Thirty-one people have been hospitalized as a result, though no deaths have occurred. Following an investigation by CDC officials, the outbreak has been traced to pre-cut melons produced by the Indiana-based Caito Foods. That same Friday, Caito Foods announced a voluntary recall of its melon products shipped between April 17 and June 7, for both customers and retailers. A full list of the recalled products can be seen here. Like other disease-causing Salmonella strains, Adelaide infection can cause diarrhea, fever, and stomach cramps, and symptoms usually take 12 to 72 hours to show up. The stomach bug typically clears in about four to seven days, and most people recover without treatment. The illness can be more dangerous and potentially deadly in the very young, old, or otherwise immunocompromised people. The ages of victims in the current outbreak range from one to 97, with the median age being 67. Despite the recall, there’s still a chance you could come across contaminated melons. The products were sold in clear plastic clamshell containers at various large grocery stores, including Costco, Kroger, Trader Joe’s, Walgreens, and Whole Foods. They were sold in the five states where cases have been seen, as well as in Georgia, Kentucky, and North Carolina. It’s not yet clear whether the products have been sold elsewhere. It’s possible that more cases will appear, since it takes some time for these patients to be reported to the CDC. As with other recent outbreaks, if you’re not sure or don’t remember where your pre-cut melons came from, you should probably throw them out to be safe. Most victims reported eating pre-cut cantaloupe, watermelon, or a fruit salad mix.